There's No Such Thing as "Crony Capitalism"
This week, Sarah Palin gave a terrific speech in Indianola, Iowa. In it, she tore into the Washington political class. Men and women in government get wealthy by "bail(ing) out their friends on Wall Street and their corporate cronies...reward(ing) campaign contributors...buy(ing) votes via earmarks...And there is a name for this: It's called corporate crony capitalism...It's the collusion of big government and big business and big finance to the detriment of all the rest — to the little guys." This "crony capitalism," Palin said, is "not the capitalism of free men and free markets." It is the "crony capitalism that destroyed Europe's economies." In general, she's right. But on one particular — her terminology — she is dead wrong. The fact is that there is no such thing as "crony capitalism." It is a term created by the left in order to slander capitalism wholesale. Liberals love the term, since it implicitly argues that capitalism is unfair; the game is rigged, they state. Noam Chomsky is a case in point — he says that all capitalism is crony in nature. "When people talk about greedy capitalists, that's redundant," says Chomsky. "You have to be a greedy capitalist or you're out of business. In fact, it's a legal requirement that you be a greedy capitalist and that you don't pay attention to what happens to anyone else." What is "crony capitalism," then, if not capitalism? In reality, it is corporatism, a modern form of mercantilism. Corporatism is based on the notion that industries comprise the economy like body parts comprise the body — they must work in concert with one another, and they must take central direction. Corporatism isn't out-and-out socialism — in out-and-out socialism, the industries are owned by the government. But in corporatism, private industry exists, heavily regulated and subsidized by its friends in government. Historically, corporatism has been a plank in the progressive platform. Woodrow Wilson was a corporatist; so was Teddy Roosevelt. "The effort at prohibiting combination (corporate growth) has substantially failed," said progressive Roosevelt. "The way out lies, not in attempting to prevent such combinations, but in completely controlling them in the interest of the public welfare." Franklin Roosevelt felt the same way. "If all employers in each trade now band themselves faithfully in these modern guilds — without exception — and agree to act together and at once, none will be hurt and millions of workers, so long deprived of the right to earn their bread in the sweat of their labor, can raise their heads again." Government combination with corporations springs from the socialistic left, not the free market right. But the right has been fooled into accepting the "crony capitalist" language. That's because so many on the right, in knee-jerk fashion, assume that corporations are inherently capitalistic. They aren't. Corporations simply act in their own self-interest. They are no more capitalistic than the citizens who vote themselves welfare dollars. When Gordon Gekko says, "greed is good," that's not the essence of capitalism — it's the essence of the corporate mission, which says that shareholders must gain value, whether through taxpayer dollars or market competition. That's why Thomas Edison, one of the greatest American entrepreneurs, believed in corporatism — corporatism run by him. "A lawyer cannot draw a law covering the complicated conditions of modern industry," he said in 1911. "What is wanted is some person familiar with the selling and buying, the technical as well as the financial end of all industries, to devise some generic scheme that business can work on." Today, Jeff Immelt, who runs Edison's GE, says the same thing. And both Edison and Immelt want to be the corporate gurus who write the laws. Capitalism is not crony. Capitalism is far more. In the words of ultra-capitalist Ayn Rand, "Above all, capitalism does not permit anyone to expect or demand, to give or to take, the unearned." What we are watching today is corporatism — the same economic fascism that destroyed Nazi Germany, threatened Depression-era America and is busily ruining American industry today. Ben Shapiro, 27, is a graduate of UCLA and Harvard Law School. 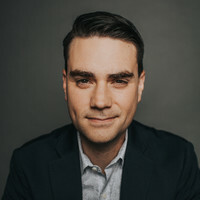 He is the three-time bestselling author of the upcoming book "Primetime Propaganda," and host of "The Ben Shapiro Show" on 810 AM in Orlando, FL. To find out more about Ben Shapiro and read features by other Creators Syndicate writers and cartoonists, visit the Creators Syndicate website at www.creators.com.